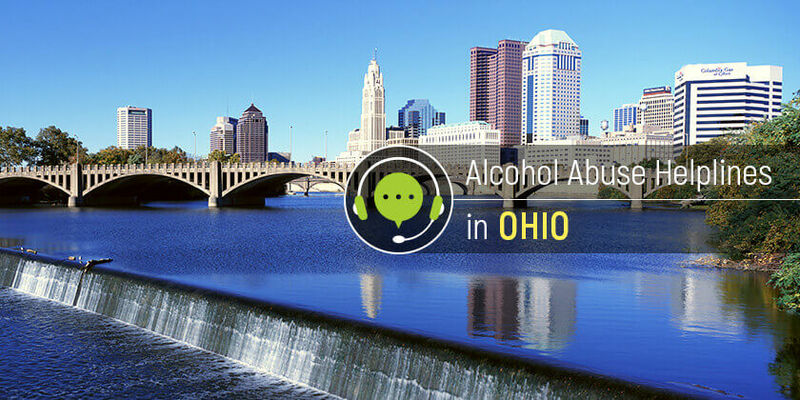 Ohio residents can call these alcohol treatment hotlines to receive information and resources on alcohol addiction treatment and rehabilitation. Delphi Health Group, a network of treatment facilities in the United States for alcohol and other substance abuse disorders, provides support, information, and resources to people struggling with alcohol addiction. Delphi Health Group provides alcohol and drug counseling and treatment advice 24 hours a day, 365 days a year to callers. The group also offers treatment services, which are often covered by insurance. Call the alcohol recovery helpline at (866)-520-2708 to get access to these services; calls are confidential and toll-free. Call the Ohio Department of Mental Health and Addiction Services on the alcohol hotline number 877-275-6364 to speak with a representative. Call center personnel provide emotional support, resources, and referrals to alcohol treatment facilities in the state. The helpline is available any time and is toll-free. Contact the Substance Abuse and Mental Health Services Administration (SAMHSA) at the National Helpline 1-800-662-HELP (4357) to get access to resources and information on alcohol treatment in Ohio. The well-trained representatives also provide quick referral services to approved alcohol treatment facilities in the state. Callers can reach the helpline 24 hours a day, 365 days a year and calls are available in English and Spanish options. The National Council on Alcohol and Drug Dependence Hopeline offers treatment counseling and provides resources to people that seek treatment for alcohol addiction and substance abuse disorders. The national abuse hotline also connects callers to approved alcohol treatment facilities and rehab centers in the state. Call this national alcohol abuse hotline on 1-800-622-2255. Ohio can become an alcohol addiction-free state if residents in need access to these resources, as well as the addiction experts and facilities in the state. Start today: call any of these alcohol treatment helplines.